we know was extremely upsetting for pupils, staff and parents who were still at the school on the day of closure. I know that many pupils and staff have kept in touch since that time and there have been numerous reunions ranging from just two old girls to over 100 – some of which can be seen on the Reunions page. 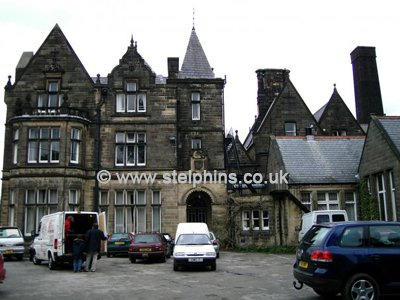 On 16th April, 2005 an auction was held at the school for virtually everything that was still in or around the school buildings – further details can be found on the Auction page. The photo to the right was taken by Doris Chan on the day of the auction. In the early part of 2008 an invitation was sent via Friends Reunited to the many St Elphin’s girls listed on the site, for a reunion to be held on 1st November, 2008 based in Derbyshire. This brought many of the old girls together and, what started as a reunion for 3 or 4 old girls, ended up with sixty over the course of the weekend! Gill Prescott introduced several old girls to Facebook where she had set up the site St Elphin’s School Reunion November 2008 group in order that all the photographs from the reunion could be put in one place for all old girls to see. Since then she has set up a number of smaller groups in relation to St Elphin's. However, her main group was a chat group called The Old Elphinians which now has over 460 members (August 2018). Gill added me as an Admin in addition to herself and in October 2014 I became the sole Admin. In 2017 I added Liz Atwell-Dickie as an Admin. In December 2010 I launched this website which has grown far bigger than ever anticipated and, indeed, still continues to grow. Further details about the launching of the website can be found on the About Us page. Other sites on Facebook are St Elphin’s School, St Elphin’s Remembered and a few more “class of” ones set up by other St Elphin’s girls, and the St Elphin's-Australia & New Zealand set up by one of our Perth WA residents, Jenny Gray-Winkless). There are also many girls on Friends Reunited and Yahoo groups. 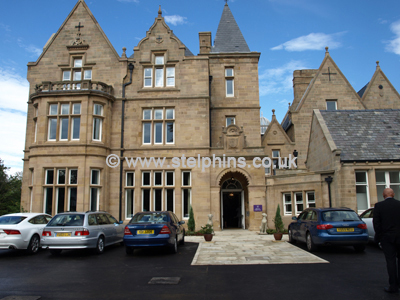 I have maintained close relationships with Audley Court Ltd who purchased St Elphin's School in 2005 with the aim of turning it into a luxury Retirement Village. Thankfully, they have retained the name of St Elphin's and it is now St Elphin's Park. 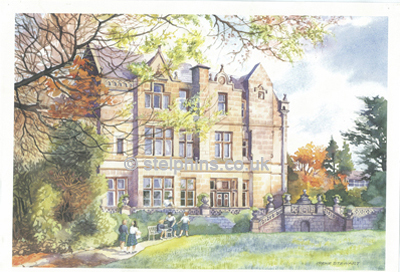 Although a number of the buildings have been demolished, mainly for health and safety reasons, they have retained the main school building which is now called St Elphin's House and was officially opened on 13th September, 2012 by Lord Edward Manners (owner of Haddon Hall). I was invited to the Grand Opening, at which 200 people had been invited (residents, Audley staff, guests and teachers!) and, of course, took plenty of photos. These can be found by clicking either of these links - General Photos (scroll down the page and click on the last photo) or St Elphin's Park. The photo above was taken by me on the day of the Grand Opening of St Elphin's House and, as you can, it has been sandblasted back to its original state! Compare this photo to the one towards the top of this page! In April 2008 Yasmin Hamir-Kurji decided to visit her old school where she was a pupil from 1969 to 1973 in Pigot House. Construction for the Retirement Village had started and one of the workers handed her a painting of the school by Irene Stewart! It appears to have been done in water colours. Having recently seen this website, Yasmin contacted me in September 2012 with a view to the painting being put on the website. I have tried to establish who Irene Stewart is but, so far, have been unsuccessful. I don't know whether she was a pupil, a member of staff, or even when the painting was done, although it was obviously when the tartan kilts had been introduced circa 1978. If anyone has any knowledge of Irene would they please let me know. If you click on the image you can see a larger version. I hope you enjoy looking at this site and that it brings back good memories. I know that some girls did not enjoy their time at St Elphin's (including me!) but, hopefully, you will still get some enjoyment looking at the site. As it is regularly updated it's often worth looking at the Website Additions page to see what items have recently been added. If you have any information and/or photos which you would like to share on this website please do not hesitate to contact me at the e-mail link below.